Dizziness or loss of balance is one of the most common complaints and affects 20% to 30% of the general population. In the USA, statistics from the National Institute of Health indicate that dizziness will occur in 70% of the population at sometimes in their lives. 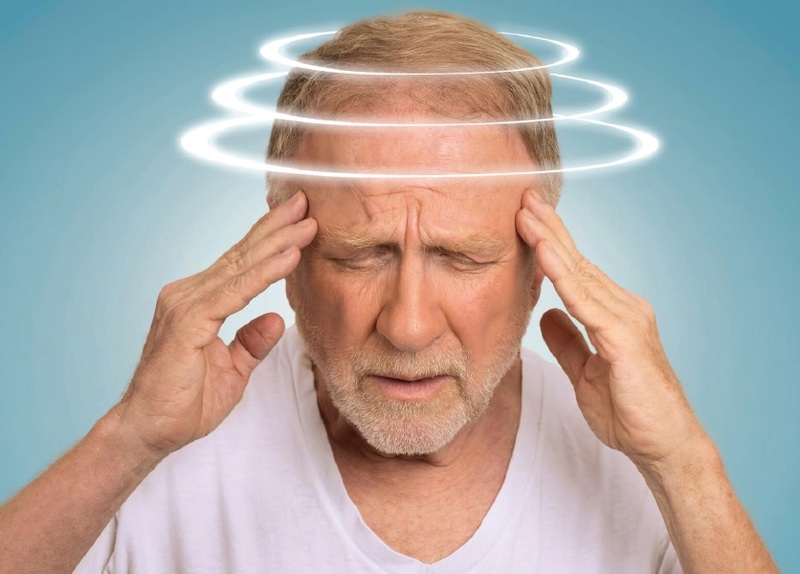 Dizziness affects all people in all age groups but it is more prevalent in the elderly. Dizziness or imbalance can cause a number of problem including unsteadiness, disorientation and blurring of vision, which can all interfere with quality of life and may also lead to serious falls. Studies indicate that a tendency to fall or symptoms of dizziness in the elderly should not be dismissed as part of aging but may be important signs of disease that may be cured or controlled. • Spinning or rotational sensation. • Unsteady, off balance or unable to walk straight without staggering. • Decreased visual clarity during head movement. • Feeling of being disconnected or out of sync with environment. • Fear of going in open, public spaces. • Fear of fall or fall which can reduce one’s sense of independence. Mostly dizziness is associated with disorders of the balance mechanism. There are three systems in the body that helps in maintain balance – eyes, ears and sensory system of the body (such as muscles and joints). The inner ear is the primary organ responsible for balance, which in medical terms is known as the vestibular system. The vestibular system interacts with other system in the body such as eyes, muscles and joints, along with the brain and the nervous system to maintain contact with our surroundings in a safe, efficient manner. Any disruption in the interaction between these systems will result is what we commonly experience as dizziness, vertigo or imbalance. Dizziness and imbalance can also be symptoms of another problem. Hence the first thing one should do is to contact their general physician (GP) who will rule out any serious underlying disorder. If symptoms still persist then your GP can refer for audio-vestibular assessment. Dizziness, vertigo or imbalance is only a symptom and not a diagnosis. Hence establishing diagnosis of dizziness is essential. According to research studies, 85% of all dizziness and balance problems can be accurately diagnosed and successfully treated following a thorough evaluation. One does not have to live with dizziness, light-headedness or feeling of being off balance. At our Audiology Clinic, we provide assessment, diagnosis and management of dizziness. So, there is hope for many who once thought there might be no relief. All patients at the Audiology Clinic are seen by audiological scientist Dr Deepak Kumar. He also specialises in tinnitus, hearing aid evaluation and prescribes hearing aids, based on our diagnostic audiological evaluation.